Our big secret is finally out!!! I'm going to be a Mama Wolf! We could not be more THRILLED to share that we are expecting a precious bundle of joy to arrive at the end of September. We are so grateful and still in awe that God has blessed us with the most special gift of bringing a baby into this world. There are SO many pregnancy hormones flowing that I can’t even begin to process, let alone write, about every emotion I’ve had throughout the past few weeks since finding out about this exciting addition! I’m so happy I get to share this journey with you and give you a little glimpse into my pregnancy and how we’re preparing for this new phase of life. 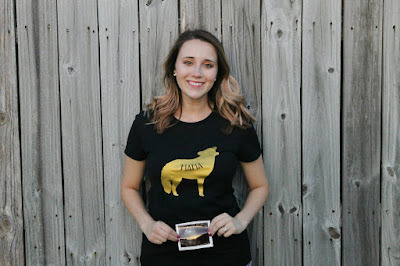 Each week, I hope to do one pregnancy post to give you an update on all the exciting changes that will take place over the next 6 months! The easiest way for me to do this is with a fun little survey I found! I may end up adding or deleting some questions based on their redundancy, but hopefully this will be a fun way to keep you in the know of all things related to Baby Wolf. This particular survey will probably be longer than most simply because I have weeks 4-12 to fill you in on! My Due Date: September 20th, 2016. Fun fact, I had a little ER visit around week 6 due to some nasty food poisoning (aka, don’t eat fried alligator while prego) and they had told me a different due date so I still get the dates mixed up from time to time but the 20th seems to be a keeper for now! What fruit is the baby this week? Baby Wolf is currently a ripe apricot or a plum! Checking the apps each week to see how much the baby grows is my absolute favorite thing right now. This week, baby is approximately 2.1 inches and 0.49 ounces! It seems so itty bitty but is growing like crazy compared to week 4 when it was mere little poppy seed. How far along I am: 12 weeks and 3 days as of today. Next Appointment: I have an appointment next week for the genetic screening tests! Prayers that all comes back normal are very appreciated! After that, I go in at 16 weeks for my next check up and to have another ultrasound to determine the gender. Total Weight Gain/Loss: I refuse to weigh myself when I’m not at a doctor and I usually ask them not to tell me unless it’s necessary so let’s just hope I’m right on track with about 2-3 pounds gained for the past 12 weeks! Exercise: Exercise is basically non-existent right now except for my daily walks around campus while at work. I’m hoping to get into a better regimen once some of the first trimester symptoms start to fade. Stretch Marks: None! And let’s pray these puppies stay far, far away. Maternity Clothes: Oh, maternity clothes… what a love/hate relationship we share. So far, I only have four pairs of maternity pants (2 jeans and 2 workout pants), however, one pair of jeans are still too loose/baggy in awkward places so I basically wear the same pair of pants EVERYWHERE. *Shout out to Sam for being a life saver when she sent me the only pair of jeans I can fit into! * She sent me the sweetest pregnancy care package a few weeks ago and they jeans that were included have been a staple in my wardrobe since. Getting dressed is becoming a major struggle. Normal pants are rapidly becoming too tight but I only have so many dresses/skirts I can rotate throughout the work week. I’m also still in that frumpy stage of not looking pregnant but feeling pregnant and not fitting into anything like I used to. Add in pregnancy hormones and a meltdown is sure to ensue when Dakota inquires why it’s taking so long for me to get ready LOL. It is all SO worth it though and I will take having to hide in my office so I can unbutton my pants in exchange for a wittle babe in 6 months! Sleep: Yall… I have always been a sleeper. Like, one of those people who can and will sleep through absolutely anything. That is, until becoming pregnant.. I don’t know why it is but sleep just isn’t what it used to be. I get very uncomfortable throughout the night, which leads to tossing and turning for many hours and waking up more times than ever before. Once again, all TOTALLY worth it and I know this is just preparation for when babe is actually here :). Food Cravings: Anyone who knows me knows I LOVE sweets! So, it has been pretty odd that my sweet cravings have subsided since becoming pregnant. For example, I usually eat about 2-4 boxes of girl scout cookies every year so when we only went through 1.5 boxes, I knew my taste buds were not acting like their normal selves. The only things I would say I have craved is cold, sweet drinks. Give me all the smoothies, milkshakes, and frappucinos please! I also did go through a strange phase of wanting mac and cheese mixed with baked beans… thankfully, that has passed LOL. Food Aversions: This list could go on for dayssss! Pregnancy is overall just so weird but it has drastically changed the way things taste for me. I have had maybe 3 servings of meat in the past 8 weeks so I would say that is definitely the biggest aversion thus far. The biggest thing for me is that foods just don’t taste the same anymore! I may just be a weirdo, but even my absolute favorite foods in the whole world just don’t seem that appealing right now. I’m hoping this will go away in the second trimester but for now, I’ll continue living off of cereal and fruit smoothies! Symptoms: In case you didn’t realize that not much was mentioned in my last Life Lately post about January and February that was because the last 6 weeks have been filled with total exhaustion and all day, every day sickness. Thankfully, my amazing doctor prescribed me some medicine for the nausea that has helped a ton but there are still those days when I’m making sure I stay close to a trash can or bathroom at all times! My bedtime has become about 8:30pm most nights and weekends have been filled with resting and relaxing. Thankfully, as we enter the second trimester, I feel like some of my energy is definitely returning (just in time to enjoy the warm Florida weather) and I am so excited about that! Another weird (and probably TMI) symptom has been burping. I HATE burping. So much so, that I stopped drinking all soda in middle school because it made me burp. However, enter in pregnancy and the burping has returned. And it’s not just when you eat certain things, it’s after cereal, an apple, water, anything and everything. So lady like right? Dakota is constantly caught off guard because that is not something he had to deal with pre-baby LOL. Also, I now cry at the most random times! For example, hearing sweet stories of people tipping a waitress more than usual or watching a cute dog video is a sure way to have me in tears within seconds. It’s slightly amusing and embarrassing all at once. The only other symptoms I can think of is just general aches and pains. Odd feelings in my stomach, uterus, hips, and back are constantly catching my attention but I can only sum it up with saying that pregnancy is just WEIRD. Movement: Remember those aches and pains? Well, every night when I’m laying down, I swear I can feel the baby doing a complete flip! 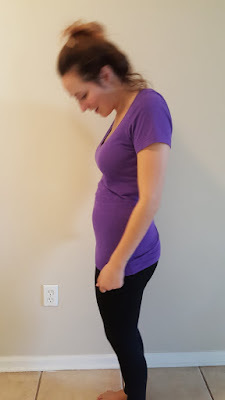 However, since the little plum is only about 2 inches big, it’s probably something else funky going on but I cannot wait until that first undeniable kick! At my ultrasound last week, the technician was impressed with how much the baby was squirming around in there and she said I should start feeling movement very soon so I’m holding her to it! What I Miss: Once again, these things are nothing compared to the excitement and joy we have for this babe, but for the sake of honesty, let’s keep it real… Sushi. I used to eat sushi every single week and now I still indulge in a roll that’s fried or a California roll but I sure miss a good spicy tuna or philadelphia roll! I also miss fitting into normal clothes. Buying new things for spring and summer is something I look forward to every year and I occasionally get sad when I can’t buy the cute pair of shorts or new romper that pops up in my email inbox. But on the bright side, who needs to worry about a summer bod when I'll be rocking a bump? ;) I also miss not having to worry about being able or allowed to do certain things. With so much differing info on the internet, it can be so overwhelming to know for sure if it’s okay to dye my hair or use self-tanner or take a certain allergy medicine. A little tip to all future mamas, don't wait until right after you've done those things to google if they were okay or not (I learned that the hard way)! I usually just go with my gut or wait until I can ask my doctor, but I do miss not stressing out about every single decision I make. What I’m Loving: For the most part, I love it ALL! From planning a nursery, to buying cute little outfits for the babe’s first holidays (don’t worry, I have boy and girl options ;)), to just being in complete and utter amazement that a real life human being is GROWING inside of me, the experience so far has been incredible. I feel so blessed to have the opportunity to carry and grow this life that I am truly trying to soak it all in and enjoy every phase. My favorite thing about the pregnancy is simply getting to see our baby on the ultrasounds. It is so surreal to see that little life and to know that it is the perfect combination of Dakota and I. I also love sharing this experience with our friends and family! I feel so incredibly blessed to go through pregnancy (and motherhood) with my two best friends, Emily and Sam, where we can share in all the good, the bad, and the ugly! Having that support system to let me whine it out when my back feels like I’m already carrying a 12 pound child and I can’t button a single pair of pants or to show me love and reassurance when the fears become overwhelming has truly been the most special thing to me. I can’t wait to see all our little babes running around and being best friends (and potential spouses) in the near future! Life, and pregnancy especially, is so much sweeter with friends to share it with! We've been rocking fake bumps for years now LOL! We have also been blown away by the love and support from our families and the friends that have become family over the years! Our babe is so loved and spoiled already and I have no doubt that its whole life will be filled with happiness and joy from those around it! Ok, now that the hormones have me crying… let’s move on. What I’m Looking Forward To: EVERYTHING!!! From finding out the gender, to decorating a nursery, to buying all the baby clothes and necessary things, to introducing the babe to our family and friends… yall, I just can’t wait for every little thing this life is going to bring! I dream about the newborn snuggles and long nights breastfeeding and just soaking in every moment with that little plum. The hands down, number one thing I am MOST looking forward to though is watching Dakota meet our baby. He is going to be the most incredible father and I can’t wait to see the inevitable bond those two will share. I don’t think anything will prepare me for that moment and my heart may just burst when it finally happens… cue more tears! I’m also looking forward to introducing our babe to its Heavenly Father. Though God is the one who created and blessed us with this miracle, I feel such a sense of honor to know that we will have the privilege of teaching this baby about its Father and how much He loves it and seeing that relationship grow over the years. God is so good and I can’t wait until baby Wolf gets to experience and know that for the first time. 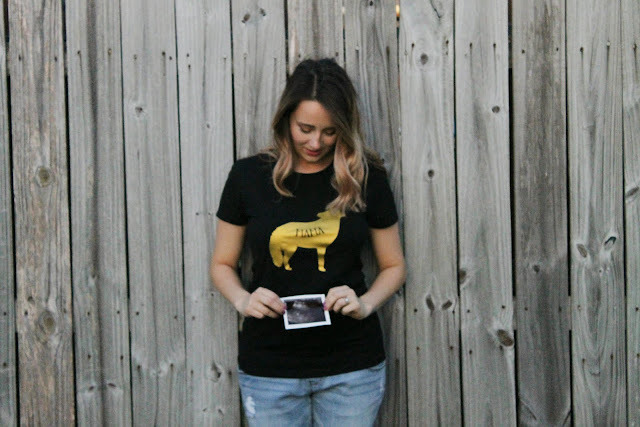 Now that you have the full recap of what’s really been going on for the past few months, I hope you enjoyed a little sneak peek into how my first trimester is coming along! 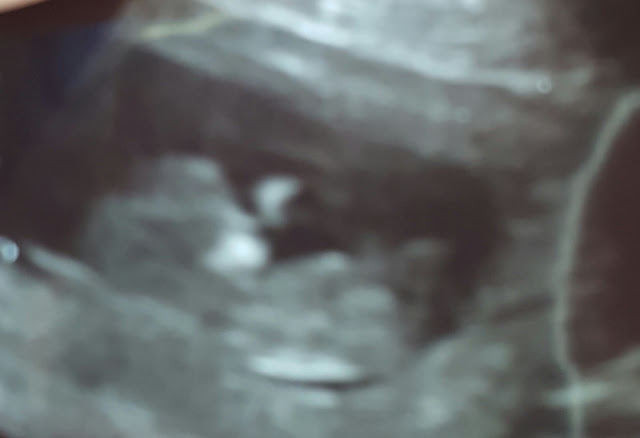 I’m exciting to be nearing the end of it and getting closer and closer to meeting this little one. PS- Said stomach bug was responsible for the lack of cupcake recipes this week but I promise, that’ll be posted first thing next week!